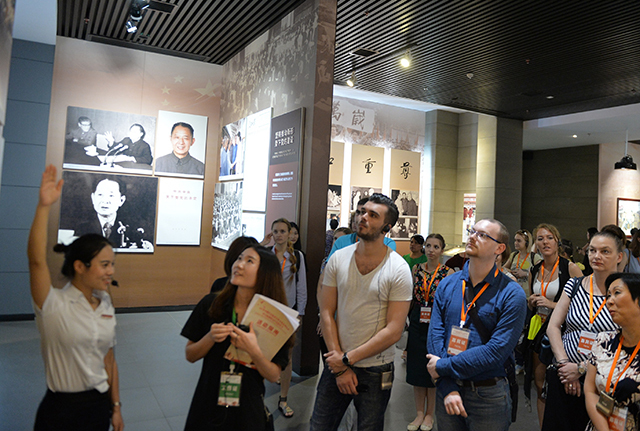 The China-Russia Red Tourism Promotional Activities & First Hunan-Jiangxi Border Red Tourism Festival kicked off at the Autumn Harvest Uprising Memorial Plaza, Wenjiashi Town, Liuyang City on 19 September, 2017. Hunan and Jiangxi will cooperate with Russia on red tourism projects. Hunan Provincial People’s Congress Standing Committee Party Leadership Group Secretary and Deputy Director Han Yongwen attended. The activities will be held between Sept. 18 and 21, in celebration of the 90th anniversary of the founding of the Chinese People's Liberation Army, the 90th anniversary of the Autumn Harvest Uprising, and the 100th anniversary of the October Revolution in Russia. Hunan Province has been hosting this event for three consecutive years, with the first two held in Shaoshan and Ningxiang respectively.